This work is the second in a series of books about Maryland families. The author, already known for his works on the Fry, Hines, Hurley, Lowder, Maddox, Niekirk and Pratt families, now turns his attention to the Walker families, members of which appear in Virginia records as early as 1624, and in Maryland records as early as the mid 1600s. By 1790, the first census of the United States reports as many as 72 Maryland households headed by Walkers. Beginning with a chapter about early Walker family records, the book proceeds to follow through the next six chapters at least eight generations in both the male and female line of descent from George Walker of Montgomery County, born c.1759 in Prince George’s County. The next six chapters deal with Walkers in one or more of the following Maryland counties: Prince George’s (where there is an old landmark business of the Walker family about a mile from Heritage Books, Inc. premises), Montgomery, Talbot, Frederick, Somerset and Worcester. Finally there is a chapter listing Walker family births and marriages in Maryland by county. 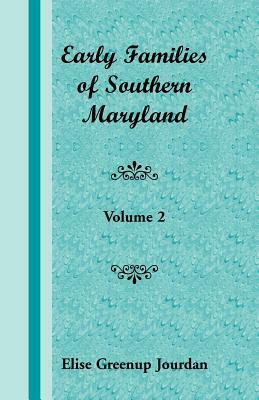 In addition to the everyname index containing over 4,000 names, the book includes a list of Maryland counties with their formation dates and source counties.